Alex leads all of the undergraduate recruitment efforts for the college, helping students find their place among the #CoJMCFamily. He graduated from UNL in December of 2018 with degrees in Business Administration and Broadcasting. During his time as an undergrad at UNL, Alex was heavily involved on campus, serving in leadership roles for numerous organizations and working as both a Campus Host and New Student Enrollment Orientation Leader for the office of Admissions. Working as a Campus Host is where Fernando discovered his passion for recruiting and working to help students find their path to higher education. He’s often called “Mr. 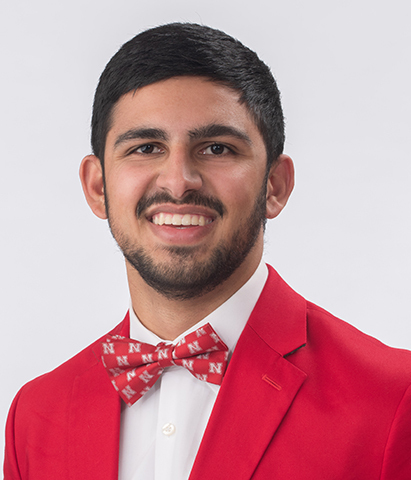 Husker” by his friends and family, and was selected as a Homecoming Royalty Candidate in 2017.